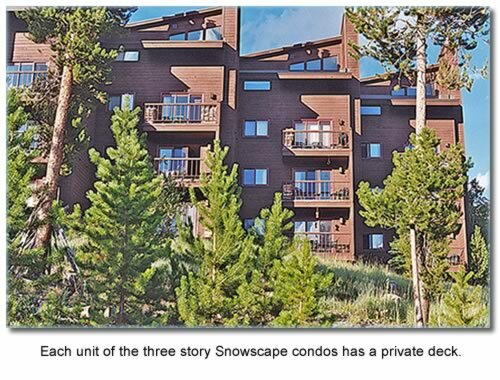 The Snowscape complex offers fantastic views of Buffalo Mountain, Peak One and the Colorado landscape. Relaxing on the sunny deck you can hear the many high country birds and breathe in the fresh mountain air. It’s a slice of mountain paradise only minutes from shopping, dining and world class ski resorts. The complex itself is a series of 5 buildings, each 3 stories, plus a clubhouse with indoor pool, hot tub and game/party room. Each unit has an open layout with a wood burning fireplace and a small deck to take in the views. The units are very warm and welcoming with afternoon sun filling the condo.